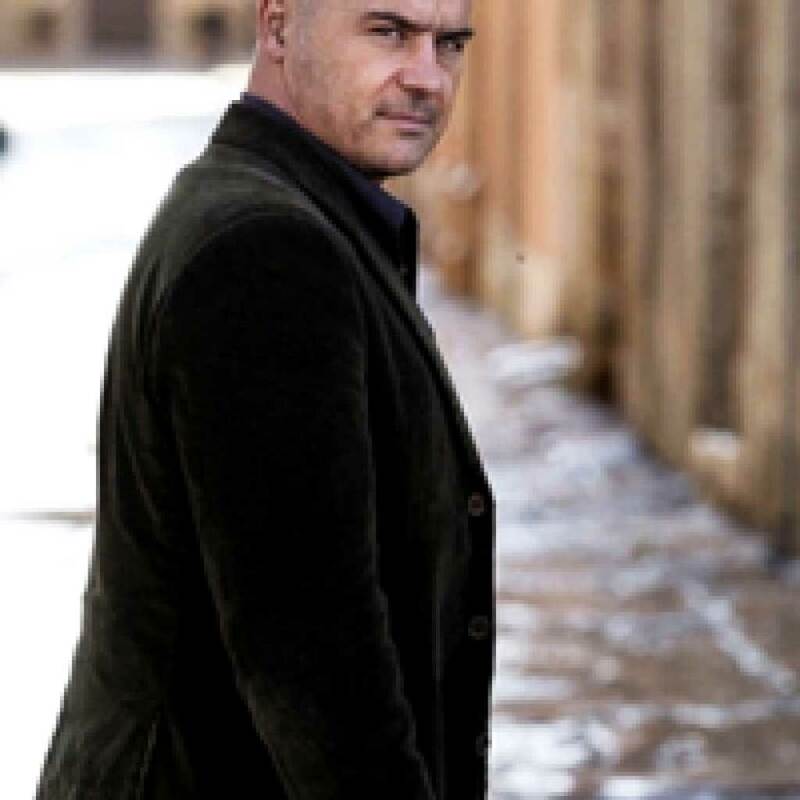 Beautiful women, beautiful scenery, a crime of passion solved and a glass of wine to finish… That’s what’s to be expected from inspector Montalbano on BBC 4 this Saturday – but did you know that the famous Italian detective is also a passionate foodie? Salvo Montalbano is the hero of Andrea Camilleri’s best-selling novels and the main character of the BBC 4 television adaptation broadcasted tonight. Camilleri was born in the South of Sicily which is famous for its culinary delicacies. Therefore, it doesn’t come as a surprise that his ficitional character is a passionate foodie whose next meal isn’t far from his mind. That’s why, even in the heat of a case, he will eagerly inspect his refrigerator to investigate what fresh delights have been left for him by his housekeeper Adelina; try a delicious ricotta and chocolate-filled Cannoli from his colleague’s desk or visit the local Trattoria San Calogero which will open its doors for the inspector at any time of the day. Can we blame him for his obsession with Sicilian food? Surely not! 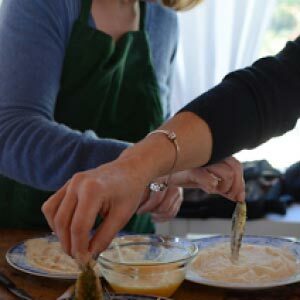 As you will have noticed on our cooking holidays in Sicily; the ingredients on the Mediterranean island are all about freshness, seasonality and taste. Pasta ‘ncasciate for example is “a dish worthy of Olympus” according to Montalbano. The simplicity of the crispy baked Macaroni dish with minced beef in tomato sauce, hard-boiled eggs, pecorino cheese, fried aubergine and garlic is appealing yet the taste is second to none. Another Montalbano favourite: cold pasta with tomatoes basil and olives – a dish with “an aroma to wake the dead”. Set in the ficitional seaside town of Vigàta, fish and shellfish also play a prominent part in the Montalbano diet. Striped mullet – known as grey mullet in the UK – is served fried or as a casserole with potatoes by the chef at Trattoria San Calogero. Turbot is served with roast with oregano and caramelised lemon; bass is stuffed and accompanied by a saffron sauce; sardines prepared alla beccafico – stuffed with breadcrumbs, garlic and parmesan and deep-fried. These culinary delights should be tried by every visitor to the region! Want to sample some desserts? Well, luckily Montalbano has a sweet tooth, too. 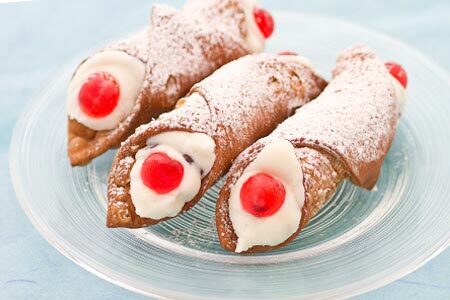 Joinung us in Sicily on an Italian cooking holiday, you might find yourself trying bitter chocolate timbale in orange sauce, or spicy chocolate mostaccioli biscuits served with mulled wine. You can also treat yourself to Adelina’s lemon ice which follows a strict recipe: one part lemon juice, two part sugar, four parts water!